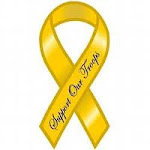 I'm going to whizz through my post today as pins and needles in my arm are driving me crazy, ok crazier lol. My lovely teamies and I are featuring some Crafters Companion products on our creations this week, if you have any we'd love to see them but as always it's not compulsory to use them to join our challenge. I decided to create a Spring card, much more CAS than usual but as my arm / shoulder hasn't been playing nice for a few days I admit I took the easy option lol. A big thank you to Crafters Companion who very kindly sent my lovely teamies and I some fabby products to play with. 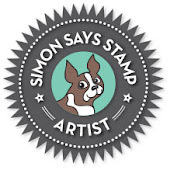 In my package were some green Spectrum Noirs as well as the 8x8 embossing folder I've used. 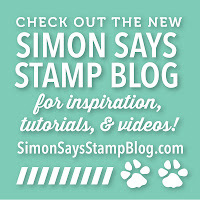 My card has been created using Simon Says Stamps "Green Apple" cardstock & I embossed some vellum to overlay it, and I added twine, pearls and of course a button. It was nice to play with the Spectrum Noirs for a change but I'll be staying a copic girl as I prefer the soft brush nib that copic markers have where as the Spectrum Noirs have a nib like the original copics & Promarkers have. This is my favorite shade of green - especially for spring! Beautiful card, Mandy! hi Mandy! 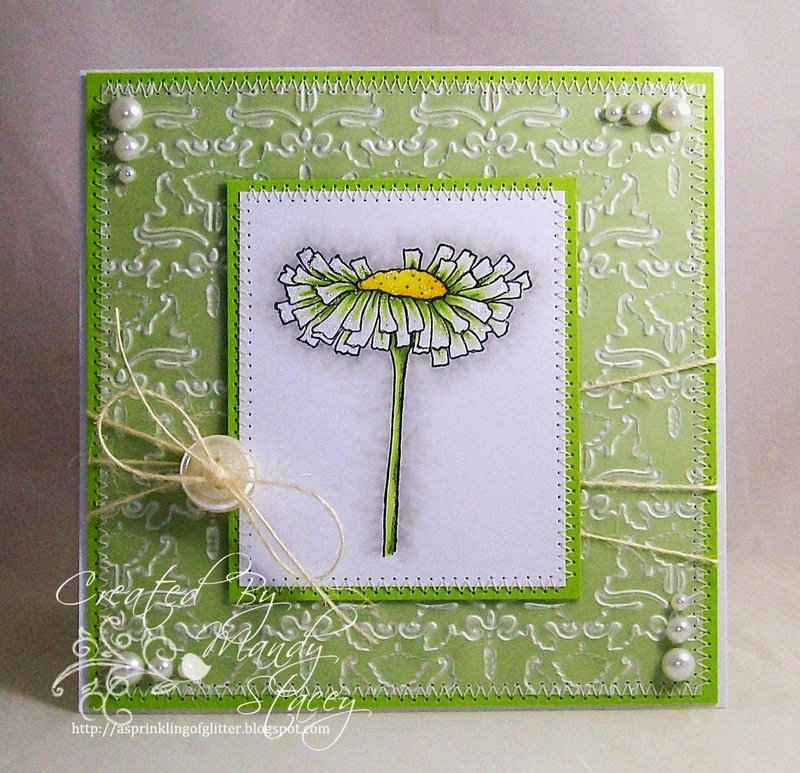 luv your card the distressed embossing is sooooo fab, luv the look! cute card, hope your day is great! Stunning CAS design, Mandy! The flower really pops with your beautiful colouring and Wink of Stella! Beautiful card, Mandy!! Love that green and it's perfect with that flower! 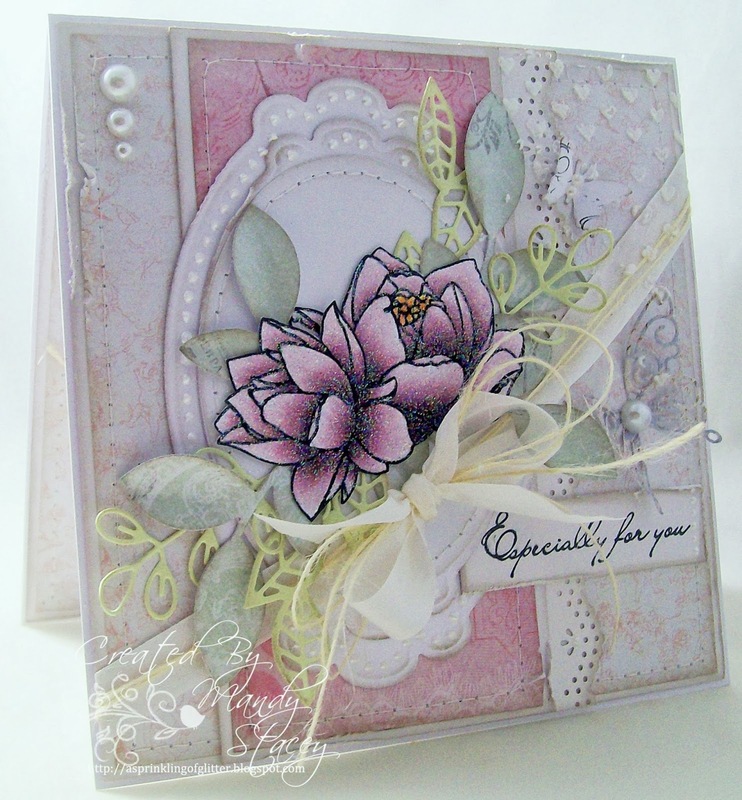 A beautiful card Mandy - a fabulous design and such a gorgeous colour scheme and adorable Magnolia flower!! Gorgeous card Mandy!! So elegant!! Wow, your card is really fantastic. Beautiful and Stylish Clean and Simple card!! FAB Strong colors.. Perfect sewing!! I love it!! Hi hun, just thought I'd visit to see if you remember me!!!!! Awesome card, I love the overlay and great colouring. beautiful job. Love the embossed vellum overlay! It's so striking with the green background! Absolutely gorgeous! 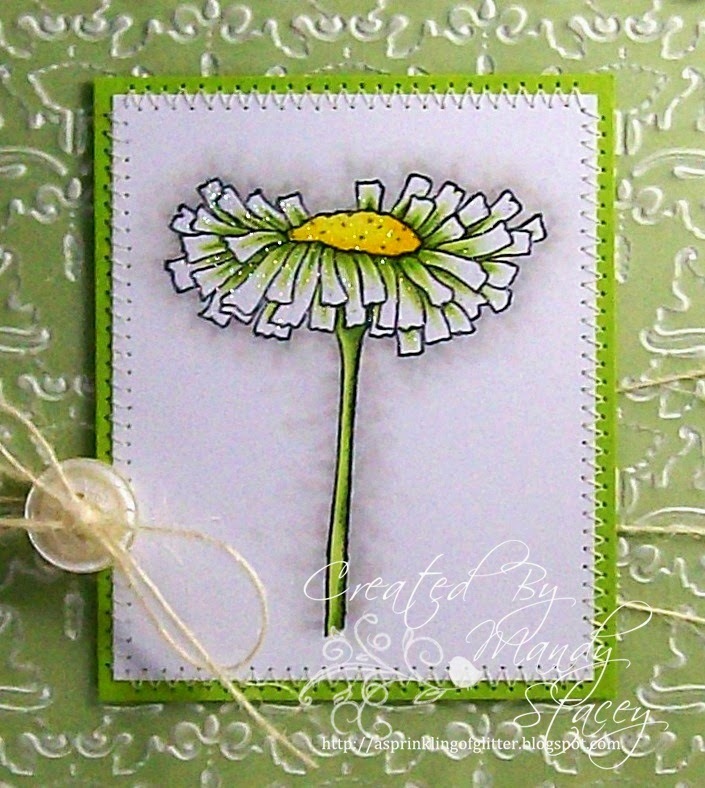 Gorgeous Mandy, I love the image you used and embossed background. really beautiful coloring and shading in the flower, and wonderful details abound! It is wonderful and so beautifully made​​.